Do you ever think of getting away from the rat race, dog eat dog, nine to five and more lifestyle? I am always up for travel and adventure and new thinking about living spaces. So, when I was contacted about this family who ditched the jobs and created a different living style, I knew I had to share it. 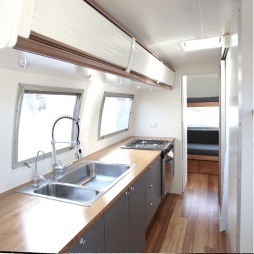 HofArc, hofman architecture who I am an admirer of their work had custom designed and shipped an 1968 Airstream Ambassador travel trailer to Australia for a family of five who were embarking on a new adventure in their lives. Mum Sonia and Dad Remi and their three children took the leap to a new lifestyle where they could spend more time together as a family while seeing and experiencing the beauty of the earth and all its splendor. The inside kitchen after updating. Love the light and airy look and the wood floor addition. 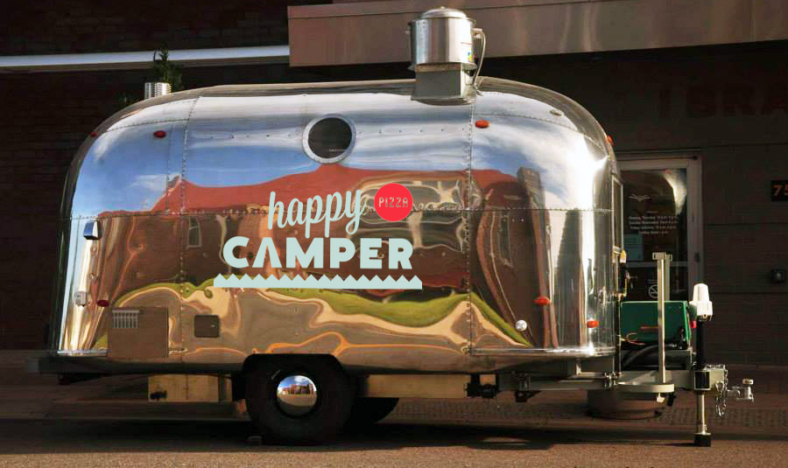 The couple also have a 1960s Airstream Caravel converted into a Pizza business called “Happy Camper Pizza” that serves as their source of income. 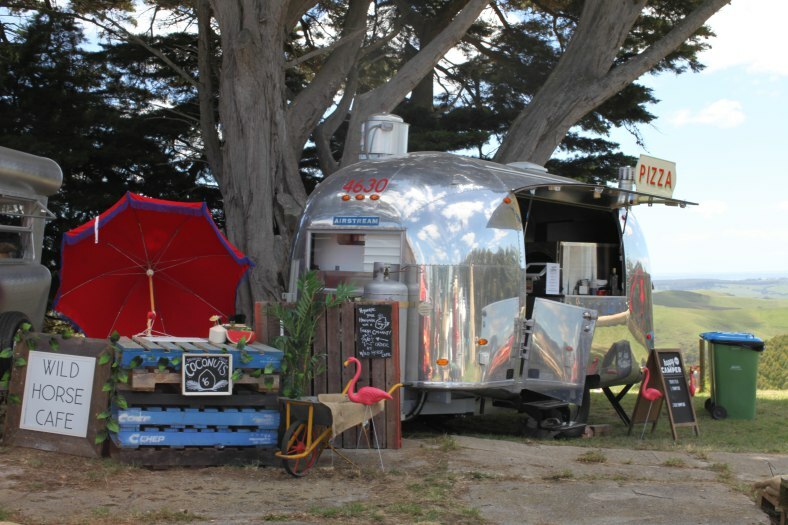 They take their Pizza Camper to festivals and caters for street food and private functions. 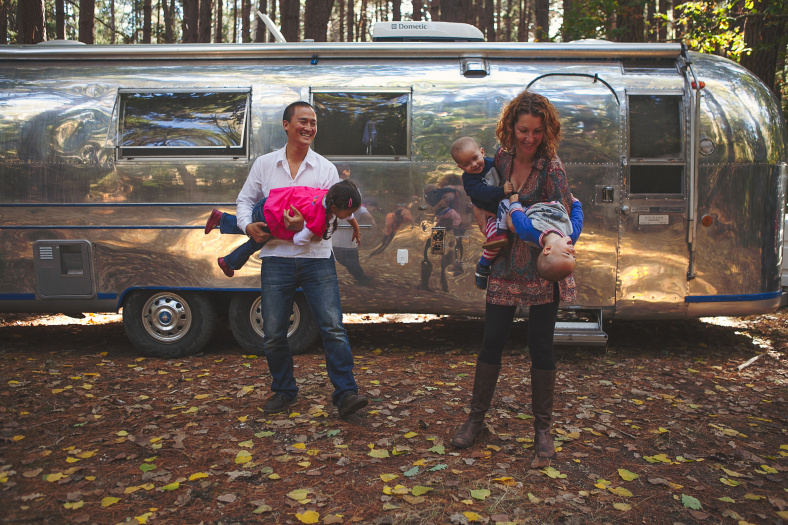 You can follow this lovely family’s journeys on their blog Airstream Family. So, what do you think? 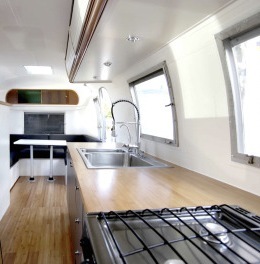 Could you take the plunge into living in an Airstream? Let me know.